The protests sparked by former National Football League quarterback Colin Kaepernick that caused league wide kneeling during the national anthem this past month has led to the decline in popularity of the NFL. At one point, the NFL was America’s favorite sport, but now a recent poll shows it is the least liked sport of any top professional or college sport. According to a poll conducted by the Winston Group, the NFL currently has a 44 percent favorability rating compared to a 40 percent unfavorable rating. The most liked sport is baseball. Major League Baseball has a 63 percent favorability rating compared to a 16 percent unfavorable. As the Washington Examiner notes, "more critically for the NFL, the fall off in favorables occurred among important audiences. 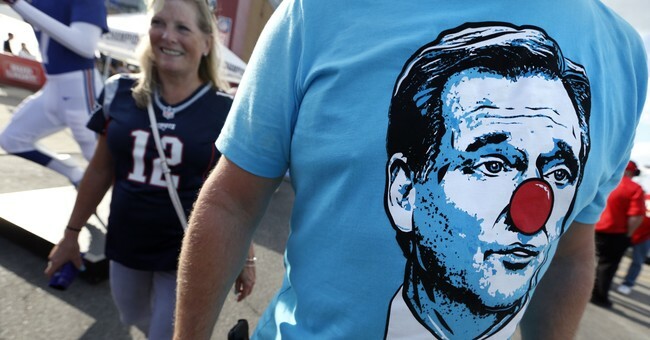 Among males, NFL favorables fell 23 percent, going from 68 percent to 45 percent. In looking at a more specific audience, males 34-54, NFL favorables fell 31 percent, going from 73 percent to 42 percent. Among this group the NFL has a surprising negative image, as it went from +54 percent in August to -5 percent in September." This is now the second major poll in recent weeks to show the NFL is losing fans en masse, disgusted with acts of perceived disrespect towards the flag and the country. On September 28, Townhall reported on a Politico/Morning Consult poll which showed similar results. In turn, fans are tuning out games. Ratings have dipped all season and continue to slide. As the New York Post notes, "Jefferies analyst John Janedis drilled down further and estimated a 10 percent ratings drop for the season would cost game-carrying networks — CBS, ESPN, Fox and NBC — $200 million in lost operating income." For many however the damage may already be done. Each Sunday this NFL season, #BoycottNFL has popped up on Twitter, showing thousands of fans abandoning the league they once loved.